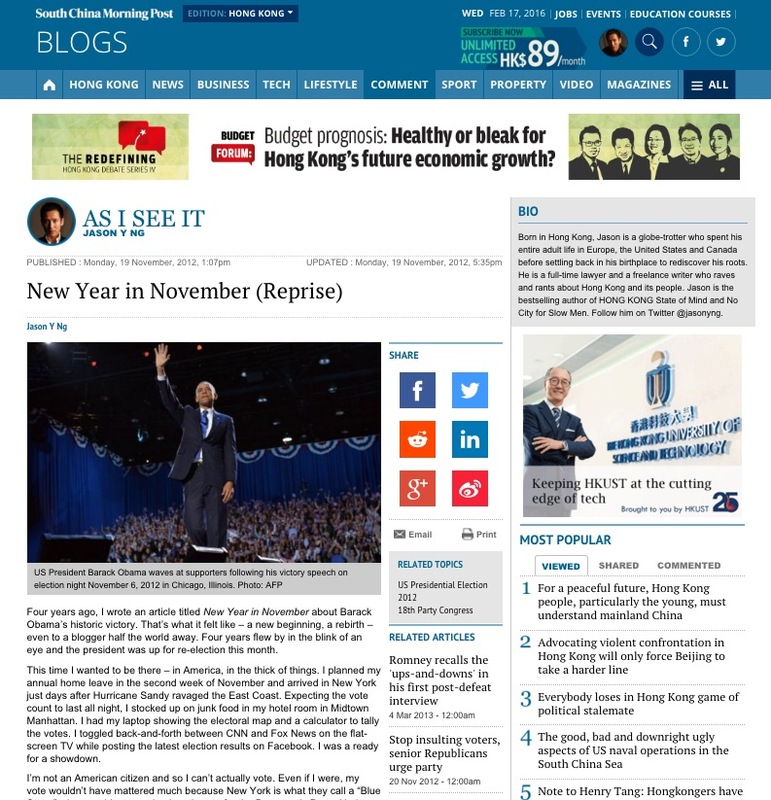 Four years ago, I wrote an article titled New Year in November about Barack Obama's historic victory. That's what it felt like — a new beginning, a rebirth – even to a blogger half the world away. Four years flew by in the blink of an eye and the president was up for re-election this month. This time I wanted to be there — in America, in the thick of things. I planned my annual home leave in the second week of November and arrived in New York just days after Hurricane Sandy ravaged the East Coast. Expecting the vote count to last all night, I stocked up on junk food in my hotel room in Midtown Manhattan. I had my laptop showing the electoral map and a calculator to tally the votes. I toggled back-and-forth between CNN and Fox News on the flat-screen TV while posting the latest election results on Facebook. I was a ready for a showdown. I’m not an American citizen and so I can’t actually vote. Even if I were, my vote wouldn’t have mattered much because New York is what they call a “Blue State,” where residents predominantly vote for the Democratic Party. 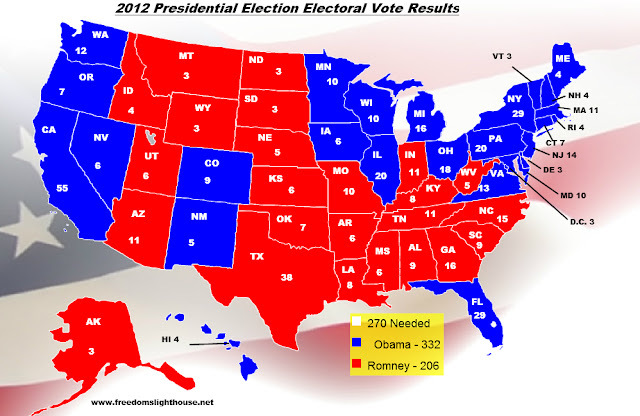 Under the winner-take-all electoral college system, all of the state’s 29 electoral votes would have gone to Obama regardless which way I would have voted. Since the Bush era, America has become more polarized and adversarial than ever. The political divide between the liberals (“Blue States”) and the conservatives (“Red States”) is so wide that there are even talks of secession. Either side refuses to compromise or acknowledge that their opponents can sometimes be right. This extreme case of partisanship sounds eerily familiar. Here in Hong Kong, the standoff between political movements like People Power (人民力量) and Scholarism (學民思潮) on the one hand, and C.Y. Leung’s government and the pro-Beijing camp on the other hand, turns every policy issue into a binary proposition: my way or the high way. I have always been a staunch liberal and a fervent supporter of the anti-government movement in Hong Kong. These days, I am finding myself increasingly intolerant of dissent and opposing viewpoints. I suppose I am every bit as guilty of partisanship as the political opponents I criticize. At around 8:15PM on Election Night, after I had barely finished my first Kit Kat bar, NBC News declared Obama the projected winner of Ohio. The 18 electoral votes from the swing state were enough for the president to defeat his Republican challenger Mitt Romney. Just like that, the show was over: Obama had won a second term. I was relieved. For a long time I had been genuinely worried that Obama would lose the race. After all, no U.S. president since Franklin D. Roosevelt has been re-elected with the national unemployment rate above 7%. And the stakes were so much higher this time around. 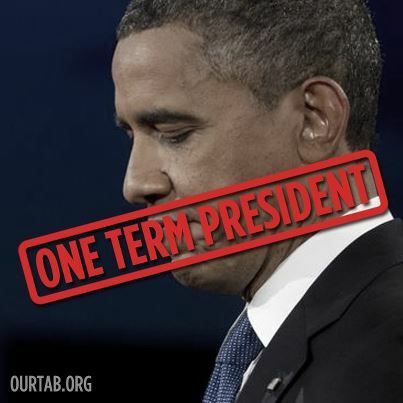 It would have been far worse for Obama to lose the re-election in 2012 than to lose the first election in 2008. In American politics, there is no bigger kick-in-the-teeth than a one-term presidency. Just ask Jimmy Carter and George Bush Senior. If Obama had lost to John McCain four years ago, we would have shrugged it off and told ourselves that America wasn’t ready for a black president. But kicking Obama out of the White House after a single term would have been a whole other matter. It would have been tantamount to telling the world that America is ready for a black president but just that the black guy can’t handle the job. It would have made the country look narrow-minded and small. In a way I was as much rooting for America as I was for Obama. But Obama didn’t really win the election — it was Romney who lost it. Post-mortems are heavily underway, as the Republican Party scrambles to find out what went wrong. Pundits and political analysts are blanketing the airwaves with their own explanations. 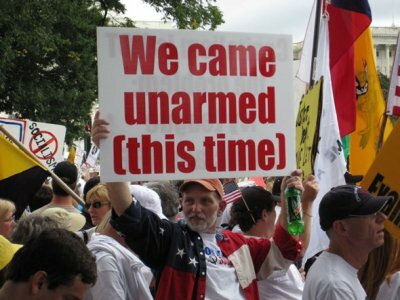 To me, the reason for Romney's loss is as plain as day: the Tea Party movement. The weak American economy has fueled the rise of radical conservatism, which in turn has intimidated moderate Republicans into taking more extreme social and political positions. While the GOP speaks of fiscal responsibility and job creation, it seems far more interested in rolling back women’s rights and civil liberties. In the process, the Republicans have alienated women, blacks, Hispanics and other minority voters. The radicalization of the Republican Party troubles many Americans and baffles the rest of the world. Outside the U.S., we wonder how a country progressive enough to elect a black president can allow a bunch of red-neck whack jobs to hijack its national agenda. No wonder tourism in America is down and visitors steer clear of the Red States. With Obama back on the job, all eyes are now on the next election. 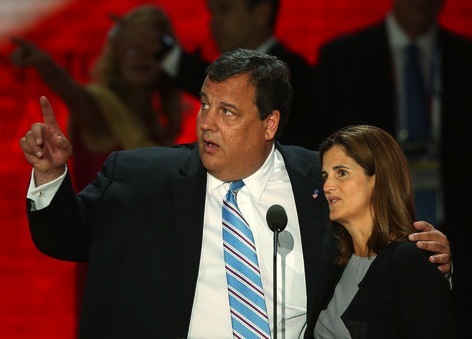 If my predictions are right, 2016 will see a run-off between Hillary Clinton and New Jersey Governor Chris Christie. Clinton has already stepped down as secretary of state to presumably make time for her White House bid. Christie, on the other hand, has been thrust to the national forefront after scoring major political points for his handling of Hurricane Sandy. To increase his odds against the most admired woman in America, the heavy-set WASPy governor will need to lose 100 pounds and learn a little Spanish. I've always wondered why America, a country that revels in political showmanship and invented reality television, doesn't have a first lady debate. It's about time we changed that, starting with Campaign 2016. Imagine the fireworks when Bill Clinton takes on little known Mary Christie on foreign policy in front of tens of millions of viewers. I can't think of a better prime-time entertainment. 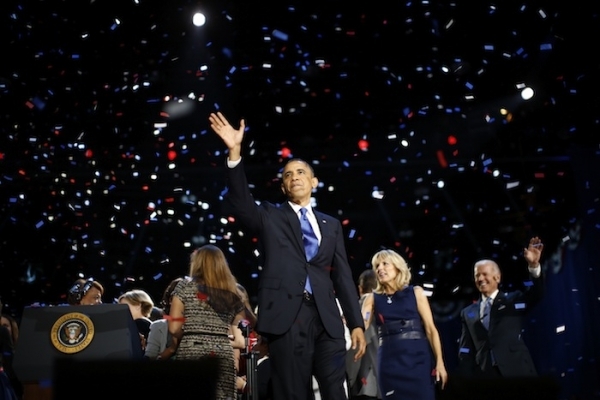 To those who say that Obama has lost his mojo after a lackluster performance in the first presidential debate, look no further than the way he delivered his victory speech on Election Night. He still has plenty of fire in his belly. And to those who say that Western democracy is doomed because of wasteful campaign spending and paralyzing partisanship, look no further than what Obama said in his victory speech. He offered a cogent rebuttal. Obama was talking about us. He was talking about the 1.3 billion Chinese who, just two days ago, were told the names of their new leaders after the National Congress convened behind closed doors. In his first public speech as the new paramount leader, Xi Jinping (習近平) spoke of reform and a better life for the poor. That’s all very kind of Xi, except that not one of us had voted for him. This article was published on SCMP.com under Jason Y. Ng's column "As I See It." Unpacking the young generation in Hong Kong is a tall order, not least because a singular, archetypical “Hong Kong youth” does not exist. The cohort is as diverse and divergent as it comes, from socioeconomic background and upbringing to education and exposure to the wider world, to values, ideals and aspirations. It defies stereotypes and generalisations. Ben Bland, a British correspondent for The Financial Times, is in a unique position to take on that ambitious project. Whereas Bland’s extensive experience reporting in Asia—including stints in Singapore, Indonesia, Vietnam and Myanmar—has given him a broad field of view, his relatively short tenure in Hong Kong—just over two years—allows him to look at its people through a long-range lens. Known around the world as a foodie’s paradise, Hong Kong has a bounty of restaurants to satisfy every craving. Whether you are hungry for a lobster roll, Tandoori chicken or Spanish tapas, the Fragrant Harbour is certain to spoil you for choice. The numbers are staggering. Openrice, the city’s leading food directory, has more than 25,000 listings—that’s one eatery for every 300 people and one of the highest restaurants-per-capita in the world. The number of Michelin-starred restaurants reached a high of 64 in 2015, a remarkable feat for a city that’s only a little over half the size of London. Amber and Otto e Mezzo occupied two of the five top spots in Asia according to The World’s Best Restaurants, serving up exquisite French and Italian fares that tantalise even the pickiest of taste buds. Who is Agnes Chow? 誰是周庭? It was roughly six months ago when Nathan Law, chairman of Demosisto, lost his job. 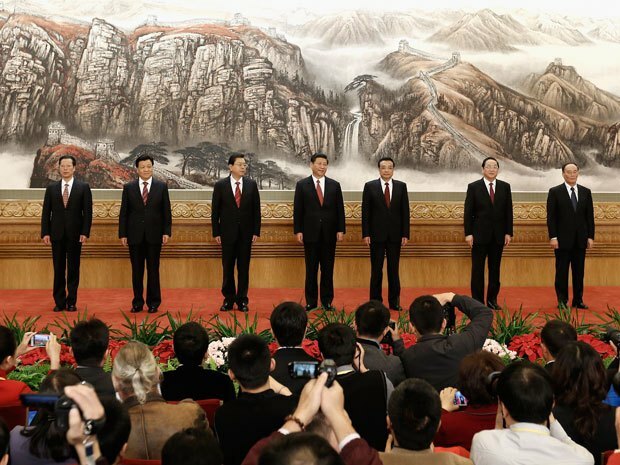 He and five other pro-democracy lawmakers had strayed from the prescribed oath during the swearing-in ceremony, and were ousted from the Legislative Council (LegCo) after Beijing issued a reinterpretation of the oath-taking provisions in the Basic Law. Many saw the unseating of six democratically-elected lawmakers, dubbed “Oathgate” in the local press, as a calculated political move to purge the legislature of the opposition. The time to fill some of these vacated seats is finally upon us. Four by-elections will be held simultaneously on March 11, in Hong Kong Island, Kowloon West, New Territories East and for the Architectural, Surveying, Planning and Landscape sector. You have reached a midlife plateau. You have everything you thought you wanted: a happy family, a well-located apartment and a cushy management job. The only thing missing from that bourgeois utopia is a bit of oomph, a bit of recognition that you have played by the rules and done all right. A Porsche 911? Too clichéd. A rose gold Rolex? Got that last Christmas. An extramarital affair that ends in a costly divorce or a boiled bunny? No thanks. How about a membership at one of the city’s country clubs where accomplished individuals like yourself hang out in plaid pants and flat caps? Sounds great, but you’d better get in line. Social media are the greatest invention of the 21st Century, not least because they provide ready fillers for life’s many dull moments. The virtual world is the perfect antidote to our real life drudgery. Bring on the mile-long taxi line, the interminable Monday morning meeting and even the deadly silent treatment from an upset spouse. All we need to do is whip out our phones, drop our heads and, with a flick of the thumb, wade through stream after mind-numbing stream of news feeds and tweets. In the parallel universe of restaurant check-ins, vacation selfies and baby videos, we are the celebrities and we are the groupies. No one wants to admit it, but many of us have started to reorganize our lives based on how the status update would look on our carefully manicured timeline. There are things about America that boggle the mind: gun violence, healthcare costs and Donald Trump. But once in a while – not often, just once in a while – the country gets something so right and displays such courage that it reminds the rest of the world what an amazing place it truly is. What happened three days ago at the nation’s capital is shaping up to be one of those instances. Born in Hong Kong, Jason is a globe-trotter who spent his entire adult life in Europe and various cities in the United States and Canada before settling back in his birthplace to rediscover his roots. Jason is a news columnist, a bestselling author, a practicing lawyer and an adjunct law professor. He is the President of PEN Hong Kong and a member of the Progressive Lawyers Group. Jason lives in Hong Kong and can be contacted at info@jasonyng.com. For more, visit www.jasonyng.com. As I See It is a biweekly column that began in 2008 as a social commentary on Hong Kong's many contradictions and oddities. It also tackles the city's pressing social, political and existential issues. Jason's articles are reproduced in the online edition of the South China Morning Post and are frequently cited by overseas news media. (950) Why Must All Our Minibuses Be Yellow? 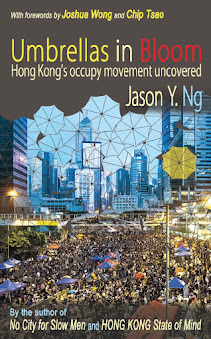 Umbrellas in Bloom, the first book published in English to chronicle the occupy movement of 2014 and the last instalment of Jason Y. Ng's Hong Kong trilogy, debuts No.1 on Amazon.com in the Hong Kong History category. It is all you need to know about the biggest political upheaval in post-handover Hong Kong: who took part in it, why it happened, how it transpired, and what it did and did not achieve. 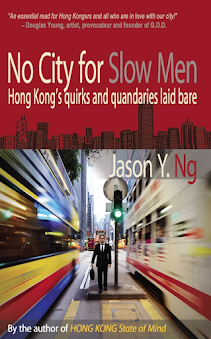 Published in 2013, No City for Slow Men examines some of the pressing social, cultural and existential issues facing Hong Kong. It is a treatise on local life that is thought-provoking, touching and immensely entertaining. Published in 2010, HONG KONG State of Mind is a collection of essays that zeroes in on the city’s idiosyncrasies with deadpan precision. It promises something for everyone: a travel journal for the passing visitor, a user’s manual for the wide-eyed expat, and an open diary for the native Hong Konger looking for moments of reflection.